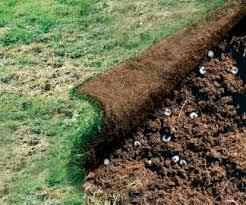 Concerns are often raised about white grubs in lawns and ways to manage them. Late summer into early fall is the time white grub problems are most likely to show in lawns. This insect can cause serious damage when a significant population occurs on a lawn or other turf area. While not all lawns will get grubs and the extent of grub damage varies from year to year, there are some important points to consider concerning managing grubs in lawns. 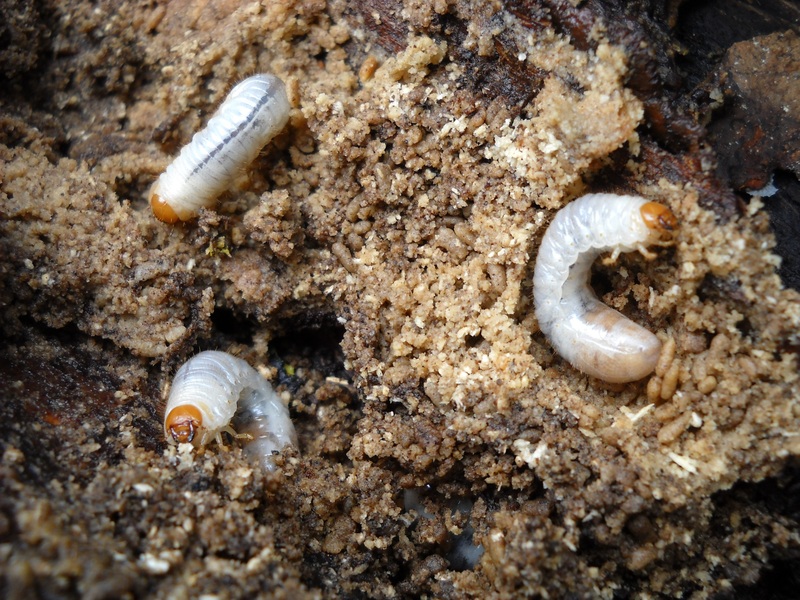 Grubs are white in color, with a characteristic “C” shape body when found in the soil feeding on lawn roots. 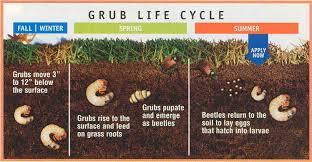 Grubs are the larval stage of beetles. Severe grub damage in a lawn appears as large, irregular sections of brown turf that detach from the soil without effort. Unlike turf damaged by drought or excessive fertilizer, the turf peels away like a carpet being rolled up. For most of the year, however, grubs are out of sight and out of mind. They feed on grass roots in your lawn and are usually noticed only when dead and damaged areas appear. Lawns showing damage from grubs may be treated with an insecticide. All of these insecticides should be watered into the soil for best results. Lawns should also be watered prior to application. 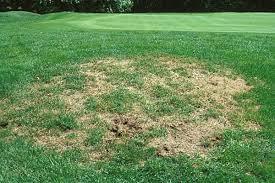 If significant grub damage has occurred, the lawn will need some renovation work in early fall. Rake away dead debris. Water the lawn area, as some of the grass with damaged roots may recover, especially if the weather cools down. Bare or thin areas may need some reseeding. PREVENTIVE MEASURES CAN BE DONE IN LATE SPRING OR EARLY SUMMER!